Fundraising Update: I’m at 55% of my goal with $330 raised for Team TAPS! Make a donation today and help the families of our nation’s fallen heroes. Last week, at this time, I was at $196 and 32% of my goal. I cannot believe how much that increased in just a week! Thank you to my very generous donors. 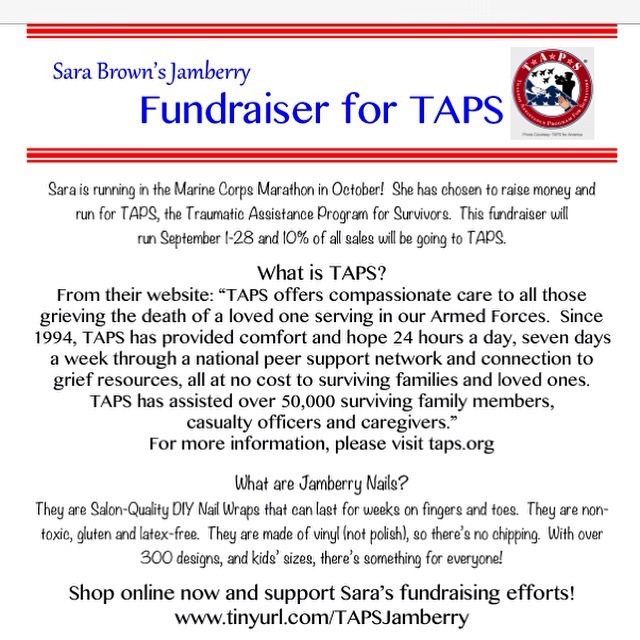 Check out my post about why I am running for TAPS. I can’t do this without your generosity and support. Also, my friend Sarah is hosting a Jamberry nail wraps party through September 28– ONE WEEK LEFT!! 10% of proceeds will go towards TAPS. Access the party here, or at tinyurl.com /TAPSJamberry to place an order by September 28! I ran 35 miles last week. I’m ready to take that into 40 this week. I have a lighter long run to get through; it feels do-able to get over 40 miles done. Part of setting yourself up for success is identifying potential pitfalls. That’s why Wednesday will be a rest day, unless by some stretch of fate and determination I wake up early enough to get in a decent run. This week’s long run will thankfully only be 12 miles. After having bumped up from 16 to 18 to 20 in the last three weeks, I am due for it. Tuesday: 9 medium effort miles at an average 9:16 pace. 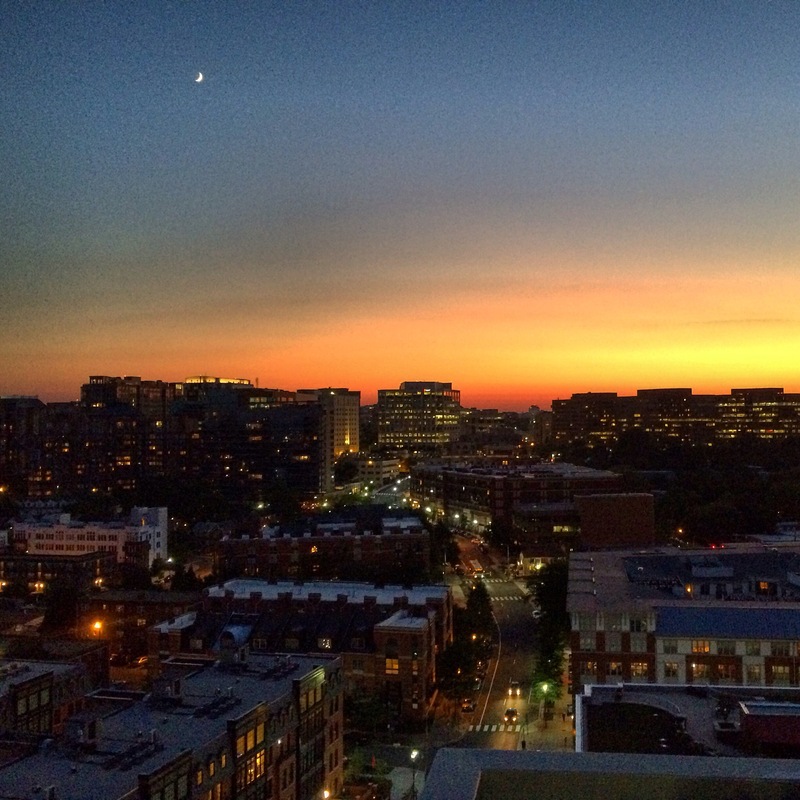 The days are starting to get shorter and, even though I live 3 miles from work and 2 stops by Metro, it’s getting a little difficult to go home first then run. Especially when I have more than 5 miles to run. 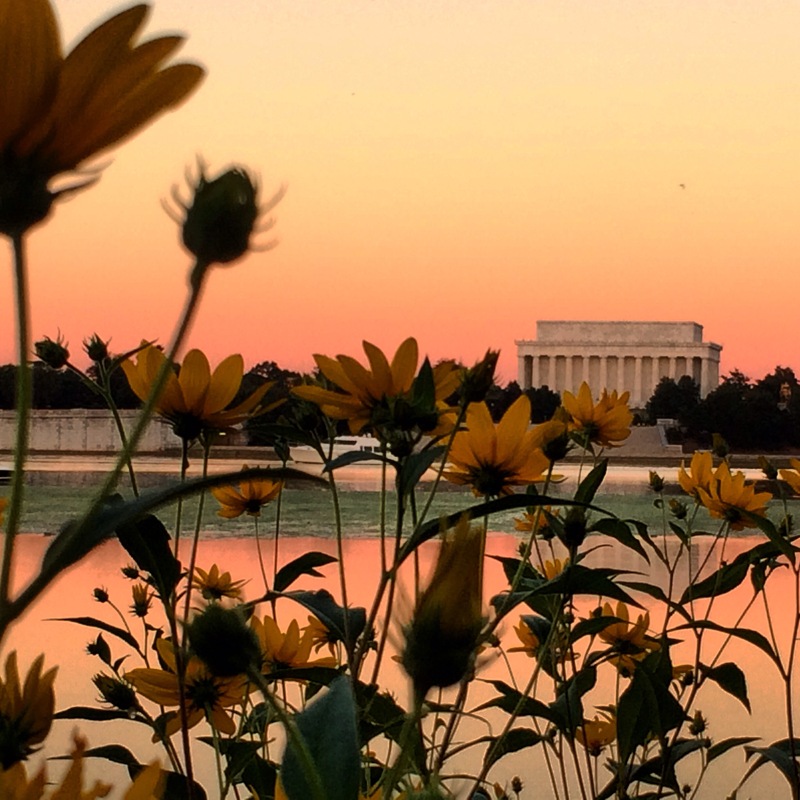 So, I left directly from work to start running on the National Mall– my typical fall and winter running spots because tourist season is winding down and I’m half a mile away from the best 5-mile loop in DC. Plus, when the sun goes down around 4:30 in a few short months, I will feel safer running here than on the dark trails because it is better lit and there are still people around. Despite an easy run and foam-rolling on Monday, my legs were really hurting today. Still that same shattered achy feeling– I’ve felt it before and it’s usually because there is a knot somewhere that I haven’t rolled out all the way or I am not doing enough core and strength. I honestly wasn’t sure I had 9 fast-ish miles in me, but I decided to just do what I could. Whether it was 5 or 7 medium miles or 9 slower ones. During the entire run, my legs felt achy and stiff and incredibly sore. Unbelievably sore actually. I realized that, over the last 5 days, I will have run 45 miles if I got to 9 miles that evening. It was an astonishing number to have run without a break, but that’s marathon-training. The most annoying thing about this run was all the gnats that were out. I’m pretty sure I swallowed a few hundred and one definitely got into my eye. I also didn’t run with water. I can’t believe I didn’t run with water. I was parched the whole time. When I got to 7 miles, I felt like I had only one more in me. Just one more mile. But after 8 miles, it seemed silly not to go for my last mile. I’m glad I did, but that was a really hard run. And at a very good pace, too. Wednesday: Rest day. First rest day in 45 miles and 5 days. I needed it very much. Thursday: Rest day. No, I didn’t really need two mid-week rest days, but sometimes life steps in and says you need to redirect your priorities. Thursday night, I needed a time out in my life, so I took it. Friday: 6 easy-pace miles at an average 10:29 pace. At some point during this week, I realized that I wasn’t doing as much as I could in terms of getting hill-training in. Sure, I’ve been walking up and down a hill every day since Week 4 to get to and from my apartment, but I was definitely being a total pansy about the opportunity literally out my front door to mimic the race course. At the start of the race, the Baltimore Marathon goes up a hill for the first 3 miles and the next 6 are downhill. Miles 9- 15 are mostly flat. When you get to mile 15, you take a slow rise up for three miles. At mile 18, you get a brief dip before ascending another peak at mile 21. Mile 21 until about mile 23 is a downhill and then one more tiny bump up until you’re coasting downhill from mile 24 until mile 26.2. The whole course elevation is around 338 feet. Out my front door, the first half mile or so is a steep downhill. I also usually skip this same uphill at the end of my runs for no other reason than I don’t want to run uphill when I am tired. And maybe the Baltimore Marathon doesn’t end on an uphill, but those hills at miles 15-18 and 21 will hurt. So I need to practice running hills on tired legs. For Friday’s run, and yes my legs still hurt terribly, I took the last half mile up the hill near my house for a true out-and-back 6-miler. I vowed to start doing this until the race was run. Saturday: 6 easy pace miles at an average 11:09 pace. You know what is a great idea? Getting 9 hours of sleep. You know what’s not a great idea? Going for a 6-mile run after 2 hours of paddle-boarding and a cheeseburger. I really needed the sleep on Friday going into Saturday, but I also missed my window to get my planned 8-miler done that morning before the last Saturday of summer peaked at around 88 degrees. It was a hot, hot day. My friend Debbie and I went out on the river, but the current was pretty strong that day and we drifted for a long, long time before deciding to paddle back to the boathouse. The current was so strong that it took us about an hour of straight-up paddling to get us back to the boathouse. Debbie and I have done this many times already, and we both are in good physical shape, but at the end of it, we were so famished that we were literally shaking and slurring our words. I’ve never gotten frustrated at paddle-boarding, but I was on Saturday because it was a very tough workout to get back to the boathouse. And the only thing that could have set us right was a cheeseburger. So, we ate burgers around 3 that afternoon and I lumbered back to my apartment around 4PM. I thought perhaps 2 hours on the couch and a ton of water could get my stomach settled before I embarked on my run. But no. This was probably the MOST miserable run I’ve ever been on. My stomach had protruded over my running shorts and flopped with every step I took– that hurt. My legs were tired from the 2 hours of paddling that day, and I was still totally exhausted from probably too much sleep and too much exertion. It took everything I had to keep going until I finally had to call it quits at mile 6. The only thing that kept me putting one foot in front of the other was knowing that I didn’t want my 12-mile long run to turn into a 15 or 16 or 18 mile day. I will never run under those conditions again. Sunday: 12 miles at an average 9:56 pace; 2 easy miles. Even though I didn’t want to repeat the same mistake of waiting until the evening to run, just in case something came up during the day, I took advantage of 10 hours of rest (which will be part of my week-long crash recovery plan in between the Baltimore and Marine Corps Marathons) and the cool “hello fall” weather we got on Sunday to run that evening. I definitely was grateful that I “only” had 12 miles to run. I was not in the mood for it at all, so having more to run would have been the kiss of death to my weekly mileage goal of 40. 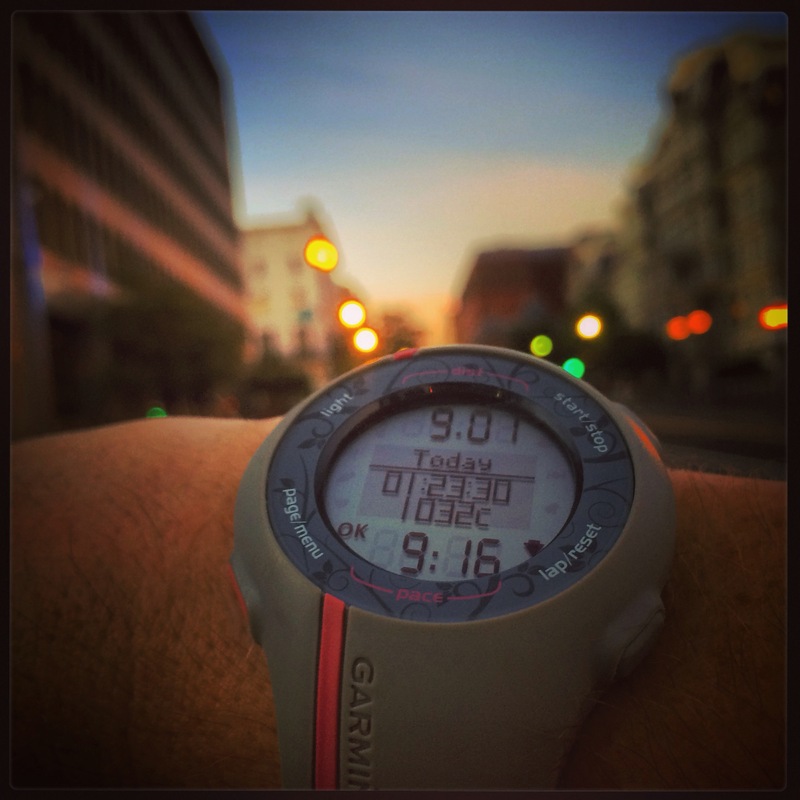 I took my usual route– the Capital Crescent Trail, which is a slow incline. It’s a very subtle incline. I actually didn’t realize I had been running uphill until I downloaded my Garmin results after the first time I ran it. But it’s great because it helps me to practice for going faster on tired legs when I do an out-and-back on that trail. I ran with compression socks to help keep the achiness in my legs from giving me cramps, but my legs didn’t stop hurting until the later miles. I decided that I really needed a massage before the marathons. That had to happen– I had some wicked knots in there. Overall, the run was uneventful. I added the 2 miles I didn’t run on Saturday night to the end of my long run here, making it 14 altogether.